At Brinsworth Manor Junior School I worked with 9 classes of Year 4, 5 and 6 pupils exploring the schools huge outdoor space. We studied contemporary artists responses to nature and this sparked ideas for creating art outcomes and sharing knowledge across classes. One of the most touching moments was when the Year 5 classes invited the Year 2 pupils into the 'big' school, playing games, reading with them and making friends. We hoped this would help their transition through school in the autumn term. Working with photographer Gemma Thorpe we ran sessions with primary children exploring their lives using photography and text. A day of ideas and creative challenges for A Level students exploring unfamiliar ways of drawing and mark making rooted in music and movement. 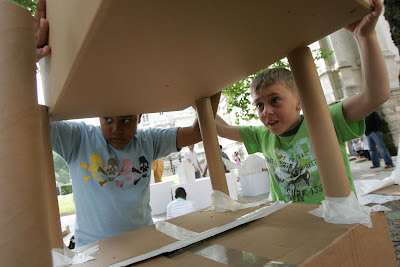 Children aged 5+ explored Godfried Donker's exhibition Story of a London Township and built their own huts in response. 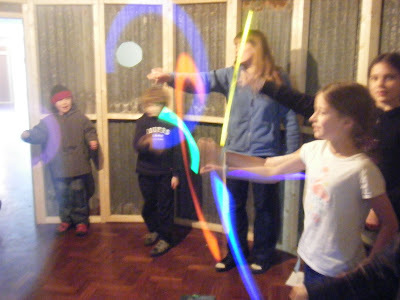 Illuminating our huts with glow sticks we dimmed the lights in the gallery and read Ghanaian stories, imagining the characters inhabiting our township. Working in partnership with Larmenier and Sacred Heart Catholic School we explored the curriculum topic of Habitats, motivating and engaging a class of Year 4 pupils in science using creative approaches. We studied the creatures and birds within the school grounds, made 'bug hotels' and planted native wildflower seeds. Beyond the classroom we took a trip to The London Wetland Centre and The Urban Birder, David Lindo came into school and gave a fascinating talk on his passion which inspired us all. Working in partnership with Sheringham School, three Year 3 classes and their teachers explored the curriculum topic of Rocks and Soils, motivating and engaging pupils in science using creative approaches. Using imaginative drawing exercises the pupils explored their thoughts and ideas about the subject before learning facts. 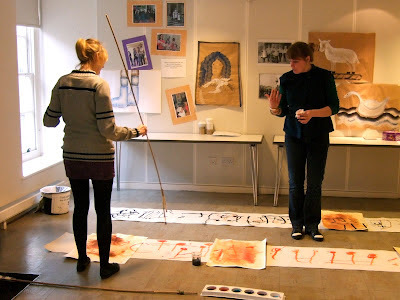 They loved handling paint, paper and adding soil to their paintings and art works. They experimented with new found techniques and layered materials to create realistic surface textures. 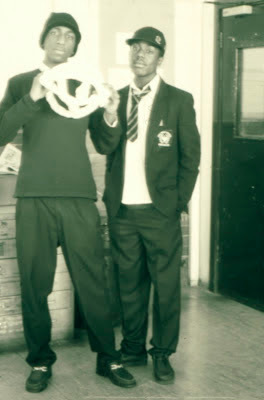 Celebrating Me in Brookfield House School encouraged children with special needs to think about and share their perceptions of themselves and their role in different groups within school and society. The two groups worked with performance poet Rosemary Harris and explored visual art in 3D with me. This image from a family workshop in a local school represents the many drop-in activities I've run for the Community Learning and Skills Service (CLaSS). 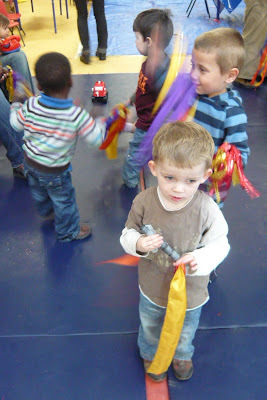 Movement, making, tastes and sounds for children under 8. Fun with light and story telling for children under 8. 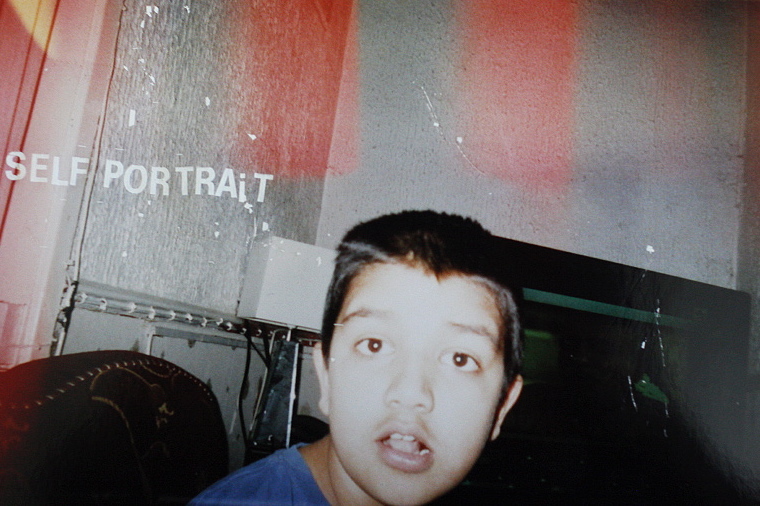 Workshop concerned with image and identity for A Level students. We explored shadow and transformed the participants silhouettes. 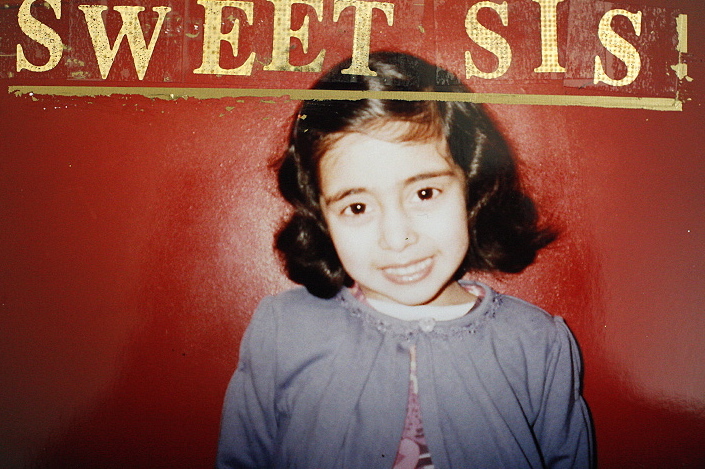 Project concerned with literacy in its broadest context. 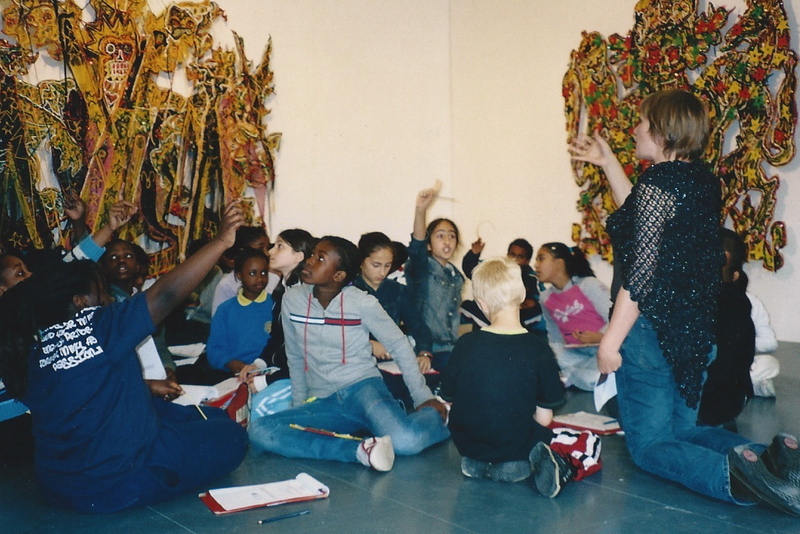 Worked in collaboration with artist Daniel Wallis and teachers with two Year 3 classes in a Newham primary school. 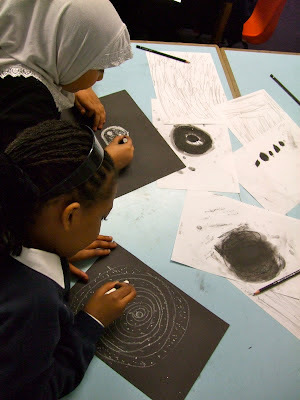 We led a two week project using work from Tate as our stimulus. 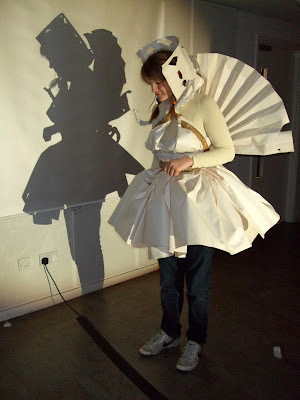 The project included whole school INSET's and a visit to Tate Britain. The Making Waves programme included 23 schools from Enfield, Harringay and Waltham Forest. Each school had to identify a question they wished to explore and 'answer' throughout the project. St Michaels C of E Primary School's question was, What can we do instead? Activities to stimulate ideas included temporary sculptures and installations designed by pupils, themed doorways to classrooms inspired by books the classes were reading, a Creative Christmas event selling items made by the pupils to raise funds for art materials. Other activities included Night School, a sleepover for 20 pupils with story telling, shadow puppets, spooky torchlit walk and midnight feast! Together we explored creative learning, speaking and listening and self expression and it was a wonderful experience to be part of a team learning so much at St Michaels. Regeneration in the Ocean Estate, Stepney provided the starting point for this youth and community project. Culminating in a community day for The Big Draw. 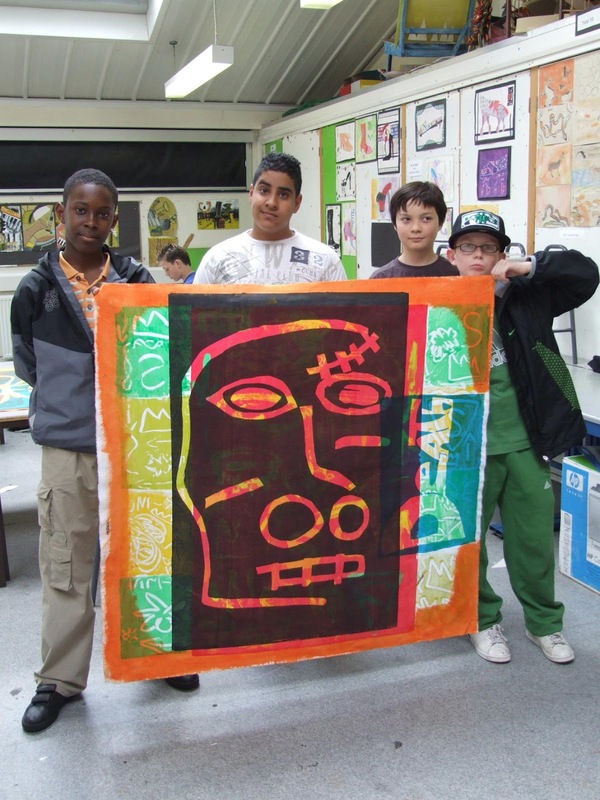 Inspired by the work of Jean-Michel Basquiat we painted and printed huge banners for use in a whole school creative event and performance. For Fellowship 2012 I worked with five local schools to deliver a variety of creative projects. 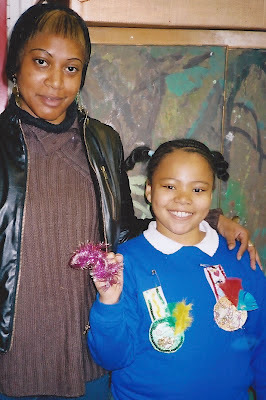 The work, alongside that of 50 other schools, colleges and community groups was exhibited in The Lloyd Park Theatre, E17, London. Woods are exciting places, full of wildlife and secret spaces... 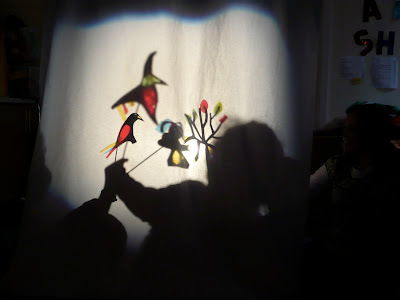 This imaginative session began with the story of Hansel and Gretel, then using natural materials, card and cellophane we made shadow puppets and invented stories. Devised and ran workshops for local schools and community groups inspired by SHOP LOCAL, a project by Bob & Roberta Smith in various sites around Shoreditch. This project focused on literacy in its broadest context. Working in Newham primary schools I led a two week art project, INSET's and school visits to Tate. 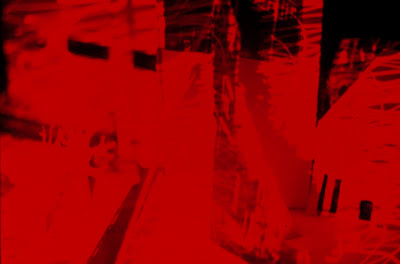 Outcomes from VerbalEyes were exhibited and performed at Tate Britain. 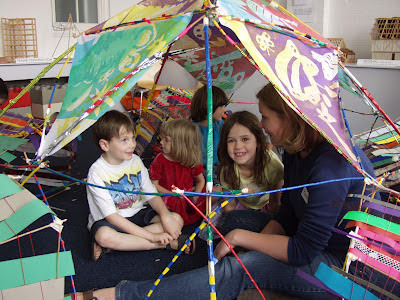 In a series of workshops groups of children built a giant tent inside the exploratory. Inspired by tipis, yurts and summer in the city we used withy sculpture, screen printed cloth and weaving to make our tent. 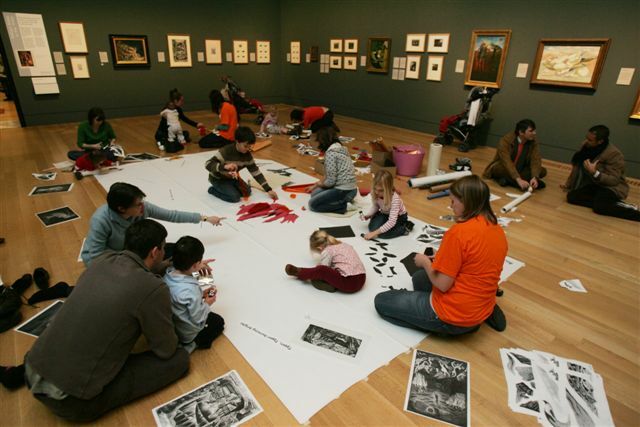 A selection of workshops for various groups: under 5's, primary age children and teens in and outside the galleries. 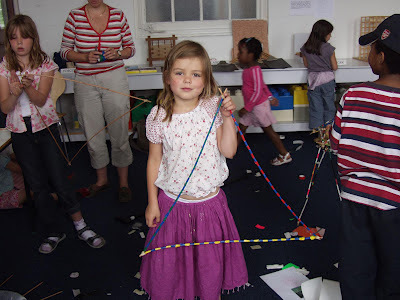 Stripe Delight was inspired by Jim Lambie's taped floor in The Turner Prize exhibition of 05, Clay Poke and Throw a Wobbly focused on Rebecca Warrens sculpture to motivate tiny hands and the Tallest Totem Pole and Zig Zag Zoom took William Turnbull's sculpture as a starting point. Sparky Tate was a daylong celebration of fire and light, we created a giant collage inspired by the fiery art and poetry of William Blake. The Building Exploratory asked me to devise a project focussing on issues of recycling, sustainable buildings and community. Working with a local primary school we visited the Hackney Empire to discover how sets were created on stage. Using this knowledge the pupils built 3D diorama models illustrating invented domestic spaces or cityscapes. 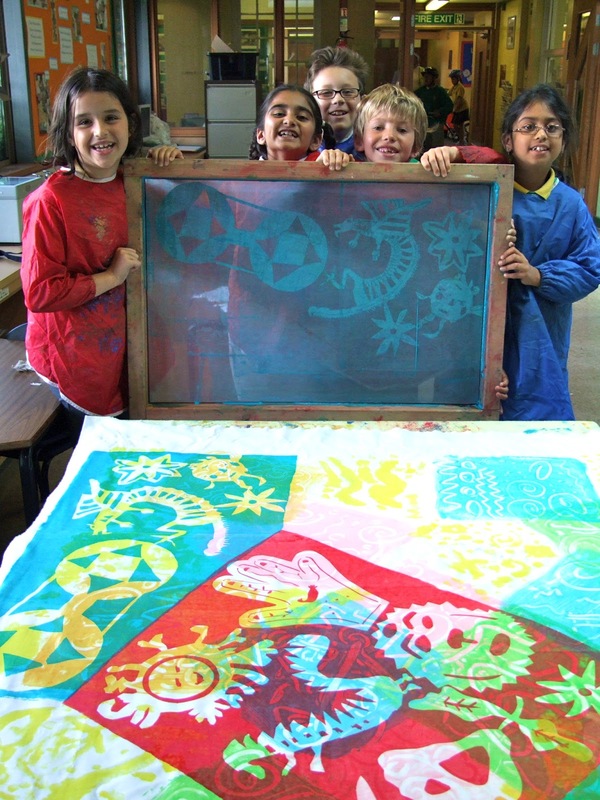 Their work was displayed in The Science Museum during summer 05. Paper Cut was an education project commissioned by The Drawing Room inspired by their Diana Cooper & Hew Locke exhibition with [ space ] providing a studio for the class to build in. THSU runs free summer courses and activities for young people aged 14-25. I devised and ran Constructive Photography: a course that combined model making and long exposure photography and used the local East London cityscape as inspiration. As one of four artists placed in four London secondary schools I worked in collaboration with the art teacher, devising two projects to help the pupils encounter and gain an understanding of contemporary art. 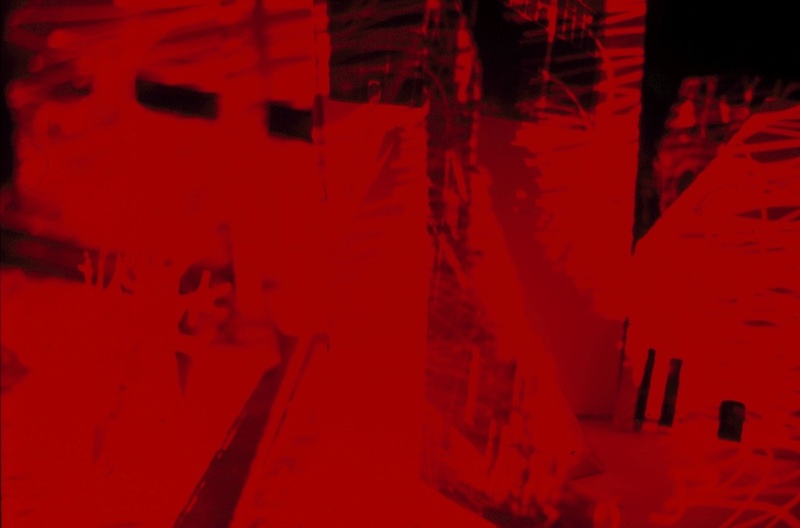 The research led to experimentation with new materials and processes: this included long exposure photography and drawing with laser light. At the end of the project the pupils work was exhibited in the exhibition space at the gallery. 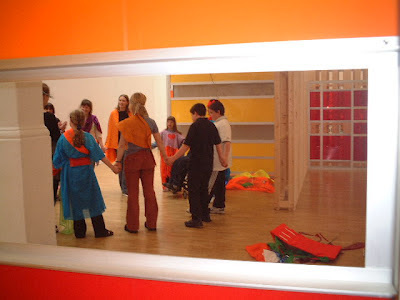 Hélio Oiticica's exhibition provided our inspiration, dancer Claire Russ and I worked with a group of children combining movement and fabric, culminating in a dance around Liam Gillick's installation in the gallery.